The holiday season is the perfect time to have fun with your nails. Some of us like to indulge in sparkles and glitter nail polish during the party season, but these festive reindeer nails are guaranteed to be a big hit. I'll show you how to create them in easy steps so you can try them this year, too! Who wouldn't love to have Rudolph and his friends on their manicure? 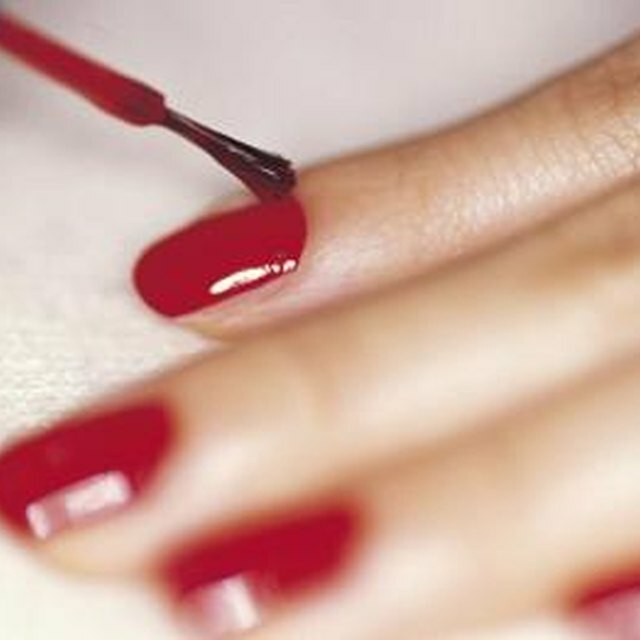 Paint your nails with a base color and let dry. Grab a light brown nail polish. Use the brush to paint a half circle at the tip of the nail, dab on two ears to create the base of your reindeer. Repeat on all nails. Use black nail polish to draw a half moon shape at the nail tip to create the reindeer nose. Dip a fine nail art brush into a darker brown nail polish and draw on the reindeer antlers. Wash the brush in nail polish remover after use. Dip a brush into white nail polish and draw two eyes on each reindeer face. Dip a brush into black polish and add a dot in the centers of the white eyes. The design really comes together when you start adding these small details! To finish the design, dab a pink circle on each reindeer cheek. Seal with clear topcoat to protect your holiday nail art from chipping!